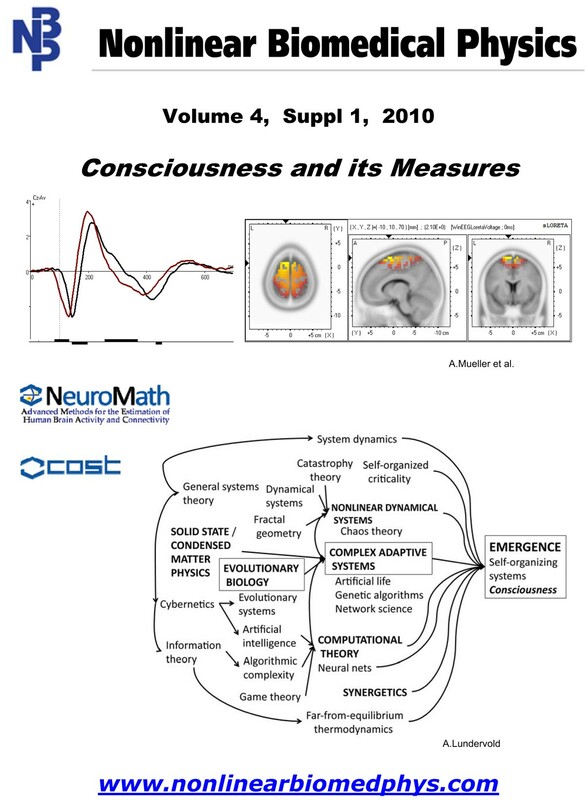 The main goals of COST Action NeuroMath are the same as those of the open access journal Nonlinear Biomedical Physics - to show how new methods that are being developed in physical disciplines can shed new light on biological phenomena and their medical applications and to bridge the gaps between specialists in physics and biomedical specialists who use these methods in practice. Medical doctors and biologists rather avoid reading physical journals because the articles published there contain 'heavy' mathematics; on the other hand, physicists and engineers rarely read biological and medical journals because articles there are mostly descriptive. Both COST NeuroMath Action with its workshops and the journal Nonlinear Biomedical Physics were created to enable these groups to meet together. In this Supplement to Nonlinear Biomedical Physics we publish the best papers based on the presentations shown during the joint workshop for COST Actions NeuroMath (BM0601) and Consciousness (BM0605) 'Consciousness and its Measures' that took place in Limassol, Cyprus, 29 November - 01 December, 2009. The papers present the newest interdisciplinary achievements in both applied and theoretical research on brain and consciousness. Transient process and synchrony of cortical activity , different patterns of cortical activity  and assessment of different conscious states  are presented. Neurodynamics is studied based on fMRI  and on high-resolution EEG signals . Mutual Information is used to study yoking of eyes during saccadic movements  and MEG around saccades is analyzed for non-invasive characterization of the human eye fields . Parameter selection for cortical potential imaging , and classification of ADHD patients based on independent ERP components  are discussed. Language processing by human brain using fMRI  and the influence of noise due to electromagnetic interference on processing of visual information  are studied. We thank the Authors and the Reviewers for the great job they all have done. We also thank Dr. Kalliopi Kostelidou, Science Officer, BMBS Domain, COST Office, Brussels, and Isobel Peters, Senior Project Manager as well as The Independent Editorial Production Team of BioMed Central, London, for their invaluable assistance in publishing this Supplement to Nonlinear Biomedical Physics.